If you were to imagine your dream vacation, we are sure this home would be a part of it! 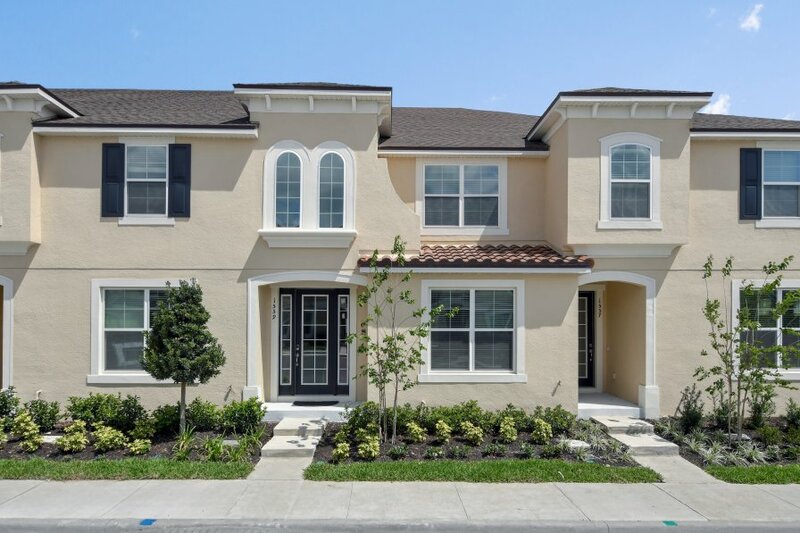 This four bedroom, 4.5 bath townhome is exactly what dreams are made of. If you were to imagine your dream vacation, we are sure this home would be a part of it! This four bedroom, 4.5 bath town home is exactly what dreams are made of. Decorated with bright colors, you’ll feel transported to a tropical oasis. To begin, the living areas in this home are spacious and grand. The main living room opens up to the kitchen and is outfitted with a plush couch, Smart TV and a gorgeous view overlooking the pool. The kitchen is luxurious and updated with stainless steel appliances, granite counter tops and top of the line cabinetry. A huge island opens the space up to the living area making the transition between rooms seamless. Cook your favorite meals here as you enjoy the luxury of this kitchen. Each room in this home is thoughtfully decorated with you in mind. Two bedrooms have king beds, while another bedroom features two beds (a full and twin), in a disney themed room.